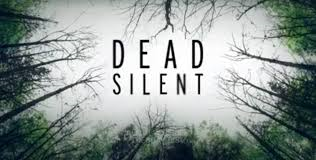 Dead Silent (ID) Rated TV-14 | What to Watch. A crime show that reenacts murders (actual and attempted) performed in remote areas. Starring Mark Holliway, Alex Zuko, Curtis Wyatt III. Wow, this show really makes you feel like you are walking in the victims footsteps, as they retrace the steps of the crime in terrifying detail. With interviews from both the detectives and victims involved in the crime, this show is fascinating and compelling. It takes you into the investigation and brings on the fear factor, which haunted me even a couple of days after watching it. It’s one of those shows that makes you question the people around you and that evil can cross your path at any given time. If you’re up for it, this one is worth a watch. This entry was posted in 2016, Crime, ID, Rated TV-14, reviews, Tv shows and tagged Alex Zuko, couple, crime, Curtis Wyatt III, days, Dead Silent, detectives, evil, Fear, ID, interviews, investigation, killings, life, Mark Holliway, murders, one, people, question, real, remote, show, shows, trailer, TV series, Tv shows, victims, worth. Bookmark the permalink.